Greetings, Stampers! 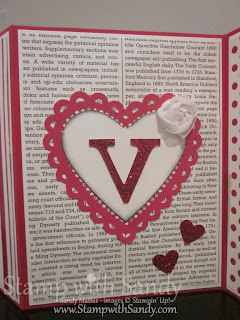 Last week, I started decorating for Valentine's Day because I wanted some decorations up before an upcoming class. I realized I had very little, and the post-Christmas budget is a little tight, if you know what I mean! 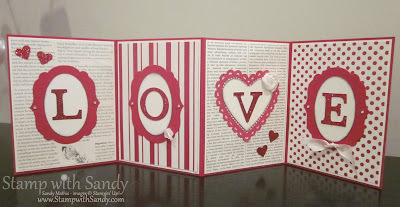 So I thought I would make a few home decor items, and this Love Banner Card is one of them. 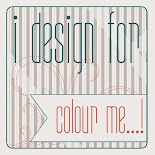 It is inspired by similar projects I saw made by other Stampin' Up demonstrators. 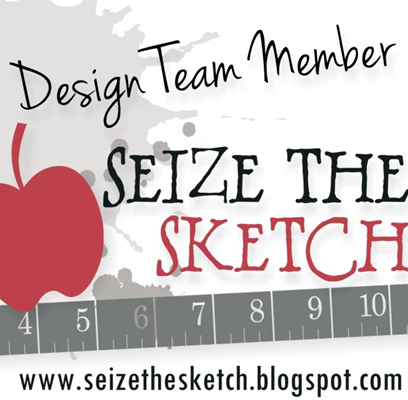 Each panel of the banner is 4 1/4" x 5 1/2", the same size as a typical hand made card. 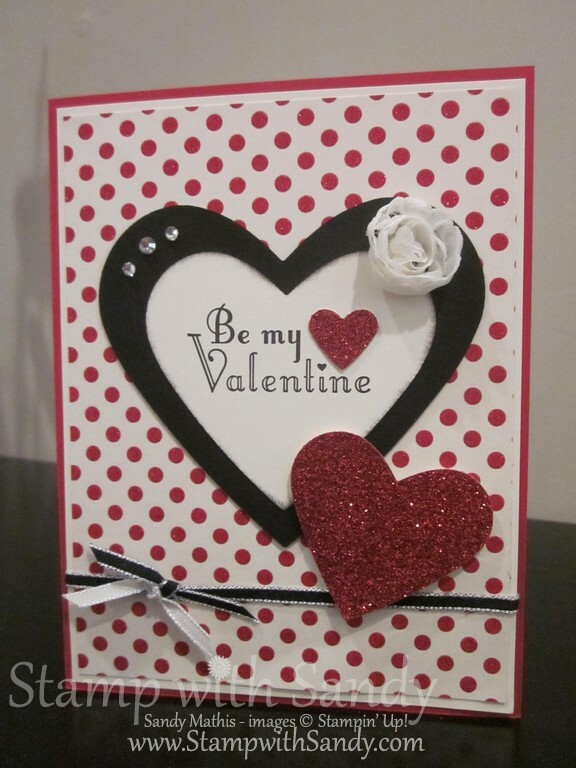 However, with all these layers, the card is a bit too chubby to fit inside a standard envelope. Perhaps I'll make a matching box for it to go in. But not today! This is the front of the card, on the outside. 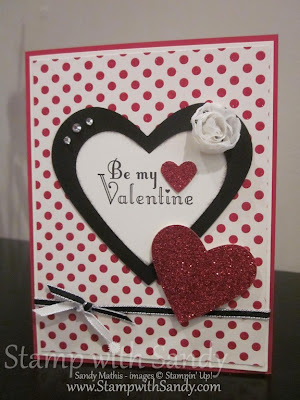 The only thing on this card that is stamped is the greeting. Everything else is punched and die cut and sponged. That is what makes assembly of this project a breeze! 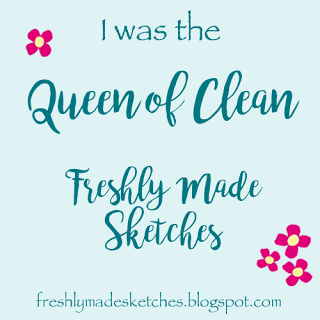 Two kinds of Designer Series Paper were used, First Edition and Holly Berry Bouquet which is retired, but was a recent find on the Stampin' Up Clearance Rack. 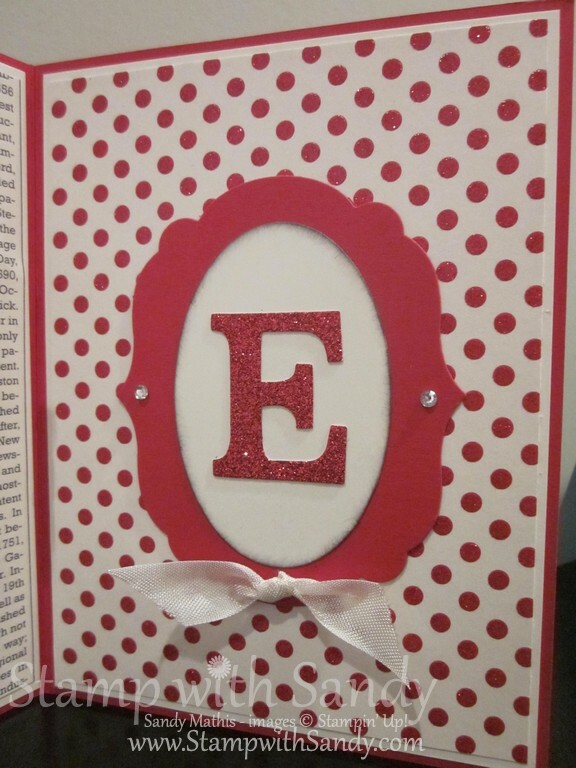 Though it's hard to see in the photos, the stripes and dots are glimmery and coordinate well with Red Glimmer Paper. 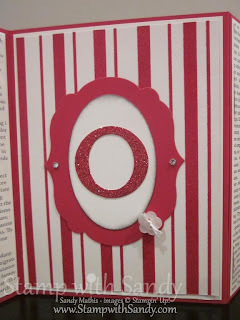 The red background layers and ovals were both cut with Framelit Dies. 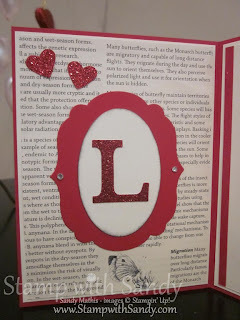 The letters were cut with the Typeset Alphabet Bigz dies. Each page is just a little different, and has different adornments. 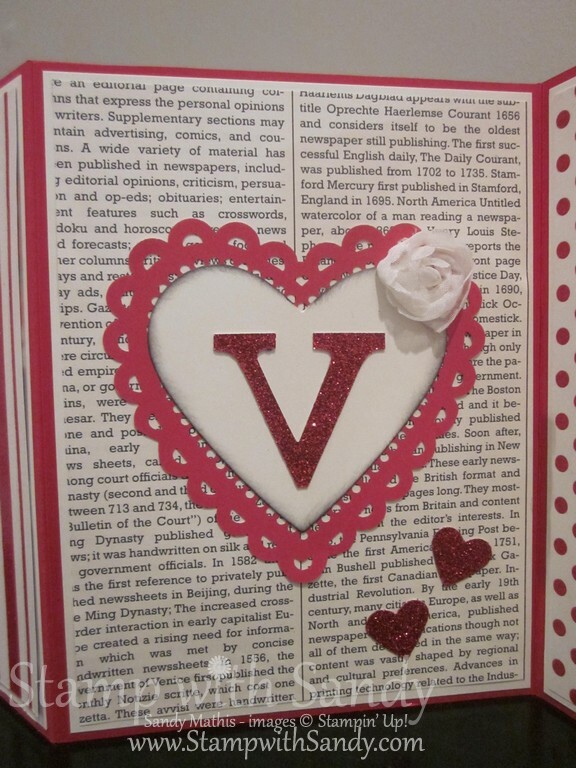 The scalloped heart behind the "V" is from the More Amore Designer Series Paper pack. Sandy, this is incredible!! 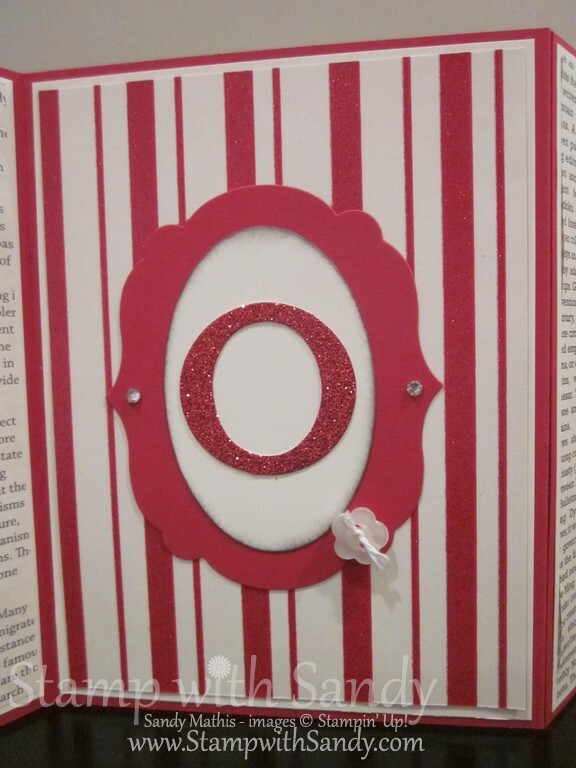 Each one of those panels is an inspired idea for a stand-alone card, but I love how it looks as an accordian and think that would be adorable sitting on a table as a home VD decoration!! P.S. Popping back to thank you for the sweet anniversary wishes!